As I was getting things started for dinner, this morning, it dawned on me that I was doing exactly what I wrote about in my article, ‘Art at the Speed of Life’ (Cloth, Paper, Scissors~July/Aug ’08). I do this so often, that it has become second nature. This is especially true during the school year. It was a crisp fall morning when I chauffeured my kids to school. I got home, finished my 2nd cup of coffee while I answered some email, and then thought chili sounded really good for dinner tonight. So out came the crock pot, and in went the ingredients. 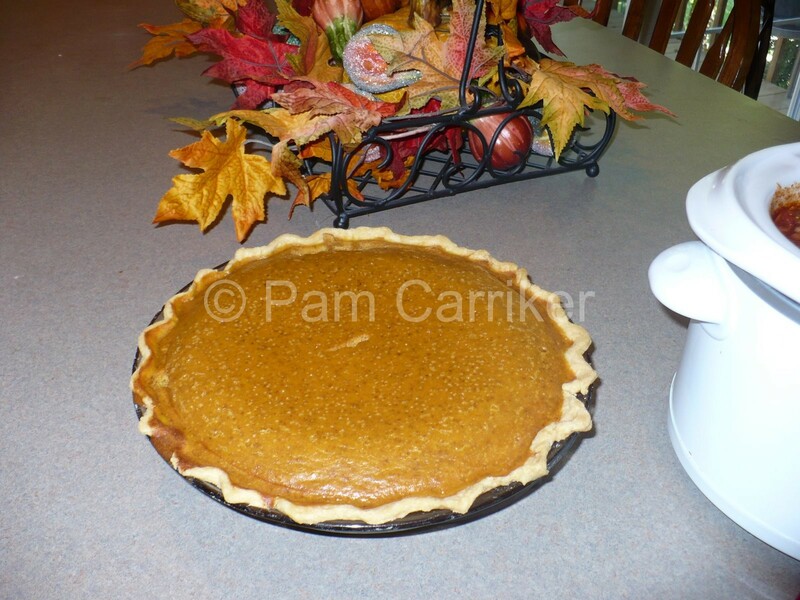 While the meat was browning, I decided that we needed to have the first pumpkin pie of the season. It is our families favorite, with lots of whipped cream of course:-) With this all done, the pie cooking in the oven I got all of my supplies ready for my next project and by the time the smell of pumpkin and spices filled the air, I was well immersed in my artwork, satisfied in knowing that dinner was taken care of. How did we ever get by without crockpots and stilll habve time left to play with our art???? Don’t you just love the crock pot? Now that I am working outside of the home again…mine will be used more. Nothing like it…just sitting down to dinner with out a worry. Now the pie, ok, thats work. 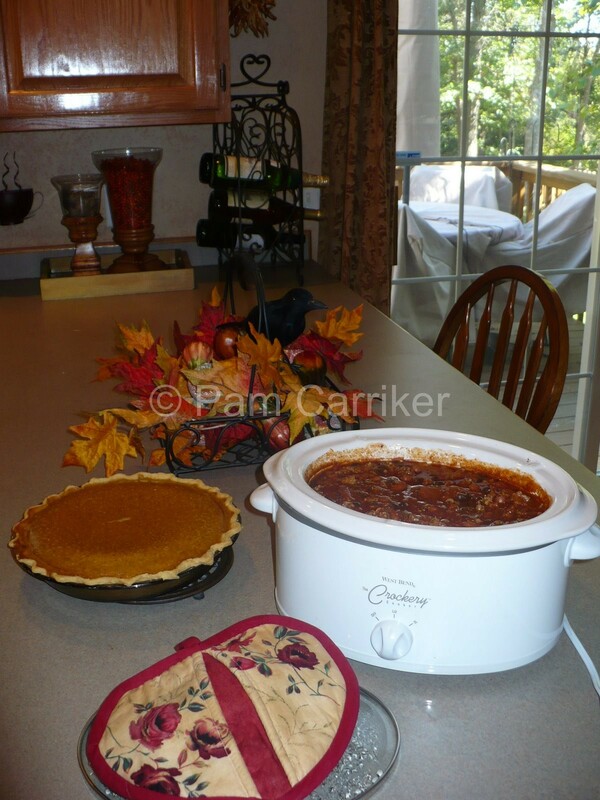 do you have a great chili recipe for the crock pot? I need to find one… and yours looks so YUM.You have a great blog! Hang on wait for me Im just grabbing a jet and heading over for dinner. lol You sound like a domestic goddess and an artistic one too. smiles Michelle ps the Expo is going well lots of interest and some good sales yahhhh! Pam, your blog is beautiful !! The header looks fabulous….and your images are just so wonderfully inspiring….this is a yummy post to be sure !! Thanks for such a delight. Now who wouldn’t be inspired with all that going on in the kitchen?? Looks yummy!